Product prices and availability are accurate as of 2019-04-19 03:08:57 UTC and are subject to change. Any price and availability information displayed on http://www.amazon.co.uk/ at the time of purchase will apply to the purchase of this product. The PILL POCKETS Treats for Dogs are a great and stress-free way to give your dog their supplements and medications as they are disguised as a tasty treat! This particular pill pocket is best used for medications in the form of a capsule. 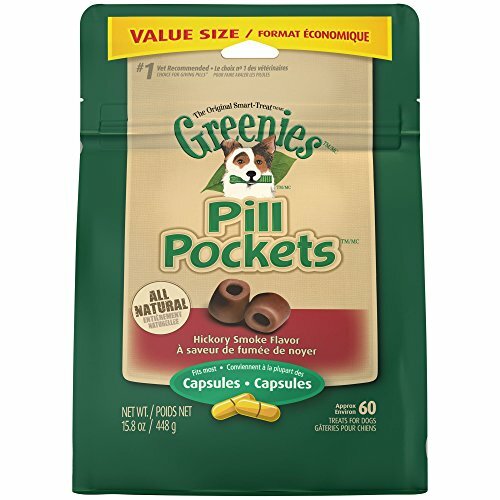 Typically, we recommend staying away from some of the ingredients that make-up the pill pockets, however, they are a tiny treat that may be needed to get your dog to take their medication and we hope this helps!